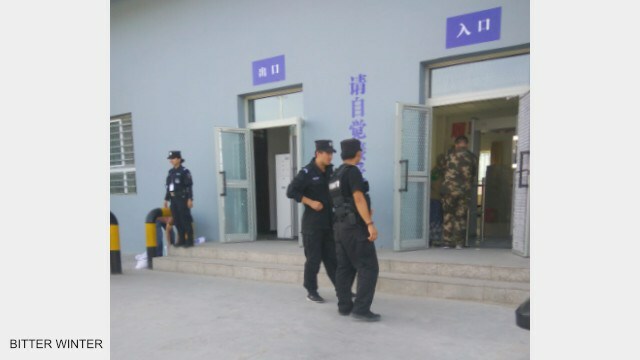 While China tries to defend the indefensible claiming that the transformation through education camps are benign “schools,” one of our reporters secretly visited the new large camp in Yining, Xinjiang, and proved it is undoubtedly a jail. On November 6, the United Nations Human Rights Council conducted its Universal Periodic Review of China. 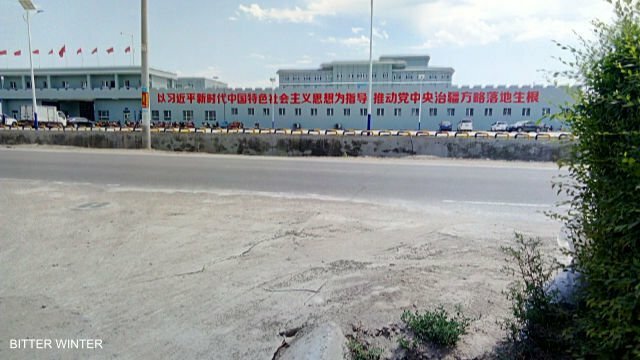 Several countries denounced the transformation through education camps, particularly those for Uyghurs in Xinjiang, as places where the inmates are subjected to psychological pressure, inhumane treatments, and torture. 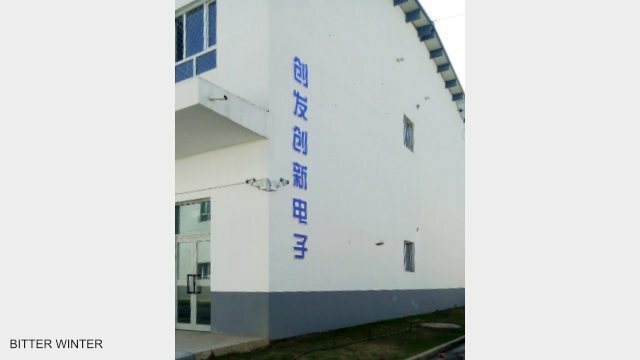 China answered that they are simply “educational” facilities. Bitter Winter has repeatedly documented that this is not the case, and is now in a position to offer unpublished news, images, and footages. 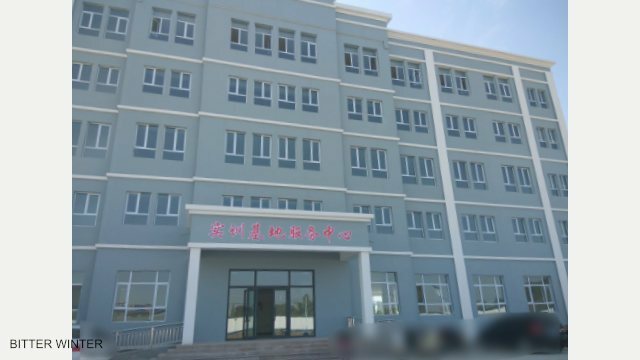 In May of this year, authorities in Xinjiang began to build a large-scale “transformation through education” camp in place of a lumber mill and a free market for buying and selling cattle and sheep, in the city of Yining, Huocheng county. In three months, the construction of this camp was basically completed, covering an area of about 100,000 square meters. In August, the construction of this camp was in its final stages. When conducting a secret visit inside the camp, one of our reporters discovered that there are altogether nine buildings, where “students,” are detained, surrounded by barbed-wire fences. Each building is four floors high, and each floor has 27 rooms (dormitories) and three “classrooms.” All the dormitories and “classrooms” are fitted with double iron doors, and iron bars have been installed on all the windows. The facility’s structure is obviously very much similar to that of a prison. 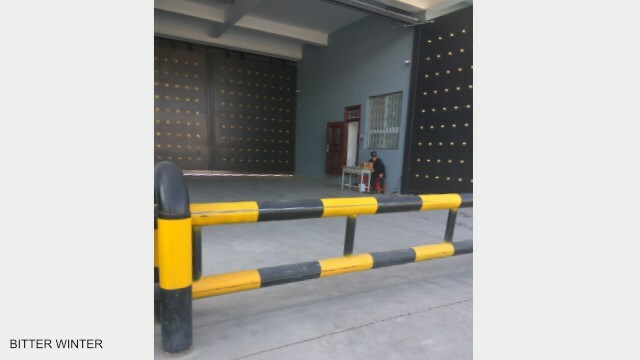 A construction worker revealed that most people who would be locked up there, in fact, received prison sentences; some of them were sentenced to five or six years. He also emphasized that the camp was really tantamount to a prison, with little hope for the inmates to be let out or escape. 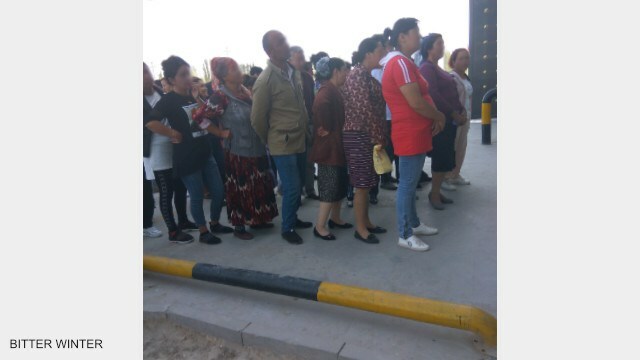 In September, Uyghurs were already being locked up one after the other in the camp. 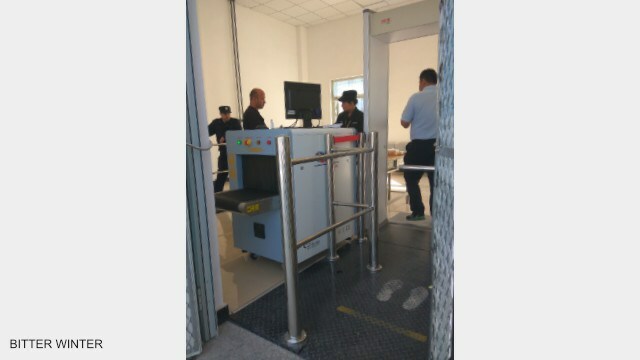 On September 7, the authorities held a public trial of the detainees there. The camp is now heavily-guarded, with 15 high-definition cameras near the entrance alone. There are also armed police officers guarding the entrance. Vehicles entering the camp must pass through two gateways, and can only enter after passing a security check. 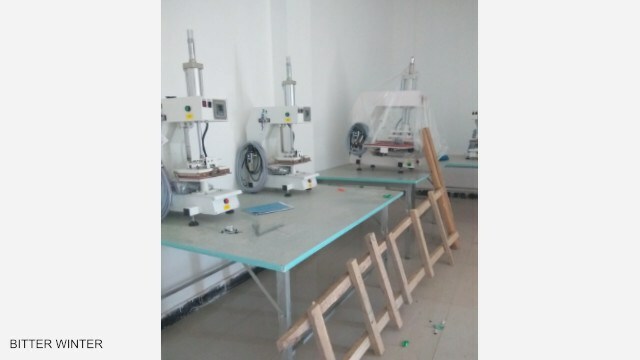 Besides, adjacent to the camp, there is also a large production base that contains nine factories, including a clothing factory, an electronics factory, and a food processing plant. 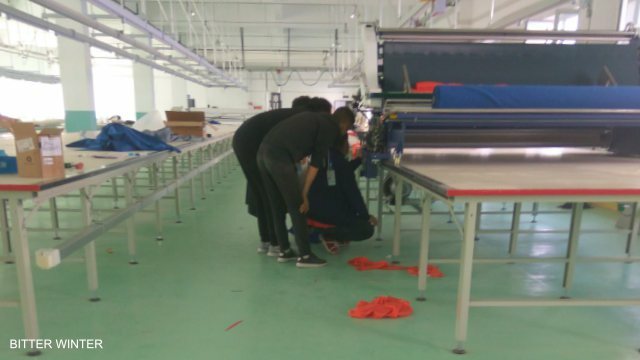 One of the factory managers confirmed that the “students” detained in the camp are sent there for forced work, something Bitter Winter has repeatedly documented in similar cases. Not only are the transformation through education camps jails, but inmates are also subject to forced labor. Li Zaili (uses pseudonyms for security reasons), born in Xinjiang in 1982, went to the United States to study at the age of 16. After graduating from university, Li returned to Xinjiang and worked in journalism. In 2014, Xinjiang authorities started detaining large numbers of Muslims in “transformation through education camps.” Learning of that, he left his original position and began independently collecting and organizing information related to “transformation through education camps,” and submitted articles for publication in overseas media outlets. 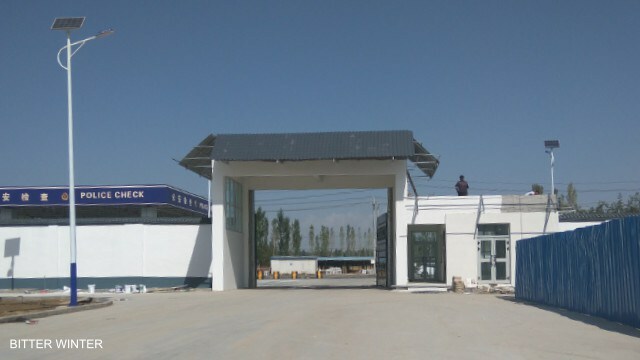 After Bitter Winter was founded in May 2018, Li Zaili became a special correspondent of Bitter Winter covering Xinjiang, Xizang and some other regions in China.